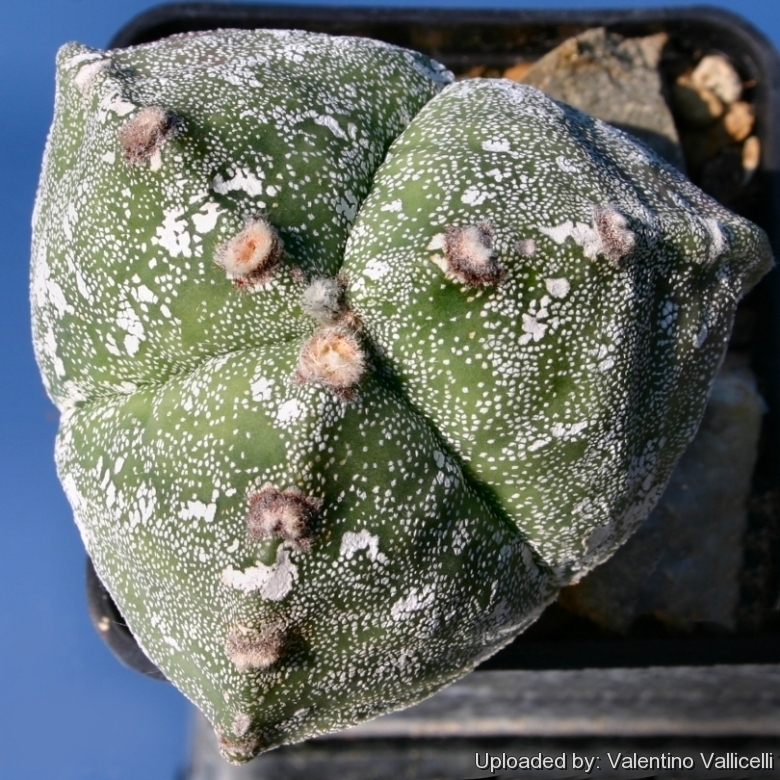 Description: This cultivar only varies from the typical well-known A. myriostigma for the white flecks that condense forming characteristic cloud-like patches and for having three ribs instead of five. Notes: "Hakuun" is a Japanese cultivars, the name means "cloudy sky" and refers to the characteristic maculated epidermis. Cultivation and Propagation: Although regarded as a choice and difficult plant in cultivation it is relatively easy to grow. It is sometime seen as a grafted plant but grows very well on its own roots too. Use mineral, well permeable substratum with little organic matter (peat, humus). Water sparingly from March until October, and keep perfectly dry in winter, at temperatures from 5 to 15 degrees centigrade. (but it is Hardy to -7°C for short periods). In the rest period no high atmospheric humidity!! *Propagation: Almost exclusively by seed. 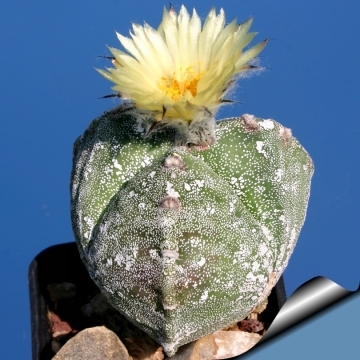 Plants are sometimes grafted onto column-shaped cacti.